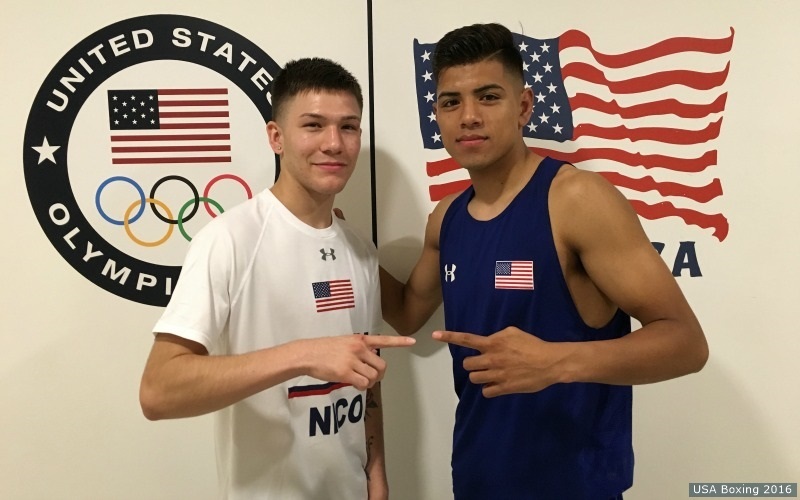 Team USA’s Nico Hernandez (Wichita, Kansas) and Carlos Balderas (Santa Maria, Calif.) got their American squad off to a roaring start at the 2016 Olympic Games with two unanimous decision victories. The Olympic Village roommates fed off one another in their Olympic debuts on Saturday at a raucous Riocentro Pavilion 6 in Rio de Janeiro. Balderas kicked off the fun in the early session while Hernandez closed the day for the American team. Balderas opened the 2016 Olympic Games in impressive fashion with a lightweight victory over Kazakhstan’s Berik Abdrahkhmanov. 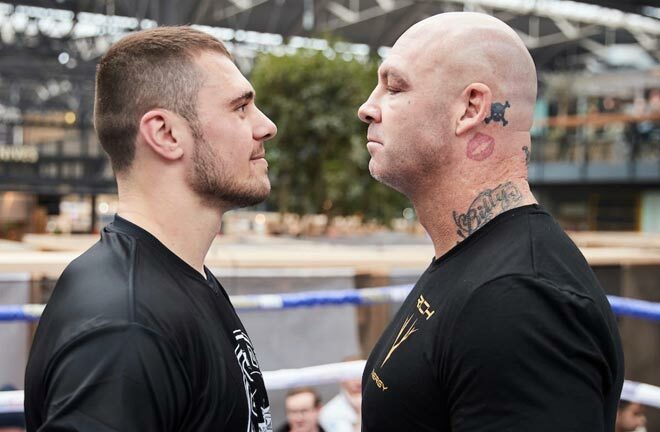 The first round was a feeling out period for both boxers as Balderas looked to push through some early nerves and measure his distance and timing. He found his rhythm late in the first round to set up a very strong second stanza. Balderas opened the second round with a strong hook that stopped the forward movement of his Kazakhstani opponent. Battling both Adrakhkhmanov and a hostile crowd, Balderas took control of the bout in the middle three minutes. Landing an effective mix of straight shots and hooks and punches to both the head and body, Balderas clearly won the second round of the bout. Although he took his foot of the gas slightly over the final three minutes, the American lightweight won a clear, unanimous decision victory to kick off the Olympic Games with a win for Team USA. “I think I could have started faster. I did start off quick but I could have let me combinations go. I was throwing but I wasn’t really thinking about what I was throwing. We can always work better. Coach Billy and Coach Kay told me what he fights like and what is weaknesses and strengths are. We went over that in the warm up and I just went out there and executed the plan. They said that when’s on the outside, he looks to get on the inside. I knew if I was on the outside, controlling the distance and controlling the speed that I shouldn’t have any problems but he was tougher than I thought,” Balderas said. The 19-year-old was the first American boxer to qualify for the Olympic Games but today’s bout was nearly 13 years in the making. “I can’t even explain the way I was feeling. I was nervous and excited at the same time. I felt pressure and I had a lot of anxiety because this is something that I’ve been working for since the age of seven but at the same time, I kind of wanted time to move a little slower as I was walking to the ring but we got the job done and that’s what matters,” he said. Balderas will return for second round action on Tuesday morning at 11:15 a.m. local time (10:15 am. ET) in a match-up with Japan’s Daisuke Narimatsu of Japan. Hernandez stepped in the ring for the third bout of the evening session on Saturday facing Italy’s Manuel Cappai. As in Balderas’ bout, the first round had a slower pace with both boxers looking to pick their shots and find their spots in the first three minutes. The pace quickened in the second with Hernandez landing a sharp 1-2 combination that caught the eye of the judges. He used well executed feints and a sharp jab in the middle round to take control of the match-up. 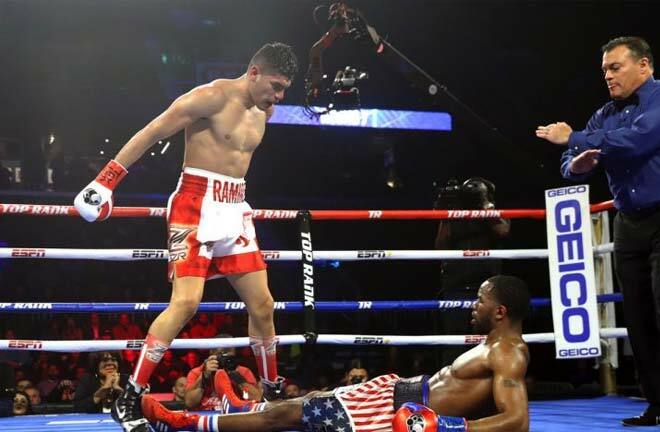 The American boxer continued his effective boxing over the final three minutes to secure the victory and ensure an undefeated day one for the U.S. team. Hernandez’s parents Lewis and Chello enjoyed the show inside the Riocentro Pavilion 6 and both were enthusiastic throughout the bout as their son’s lifelong dream culminated in front of them. “I heard them (my parents) in the crowd. I looked over and it definitely inspired me,” Hernandez said. He was excited to add a second victory for the U.S. team and hopes to change the perception that exists for American boxing internationally. “It means a lot (to get off to a 2-0 start). In the last Olympics, there wasn’t a 108 pounder. I wanted to change that and I’m here now so I just want to keep going and getting victories,” he said. Hernandez had to tune out a highly hostile crowd in the same manner Balderas did earlier in the day but he refused to allow the negativity to faze him. “I heard it but I didn’t pay any attention to the crowd. I’m focused on my fight and the person in front of me,” he said. Hernandez will step back in to the ring on Monday in a match-up with number two tournament seed Vasilii Egorov of Russia at 5:45 p.m. local time (4:45 p.m. ET). The six American boxers who did not compete in Saturday’s competition all walked in the Opening Ceremony with the United States delegation. The team had staff enjoyed the once in a lifetime experience of walking in to a packed Maracana Stadium alongside their fellow 2016 U.S. Olympians, including the U.S. Men’s Basketball Team. All of the U.S. bouts are being shown live via livestream at this link. 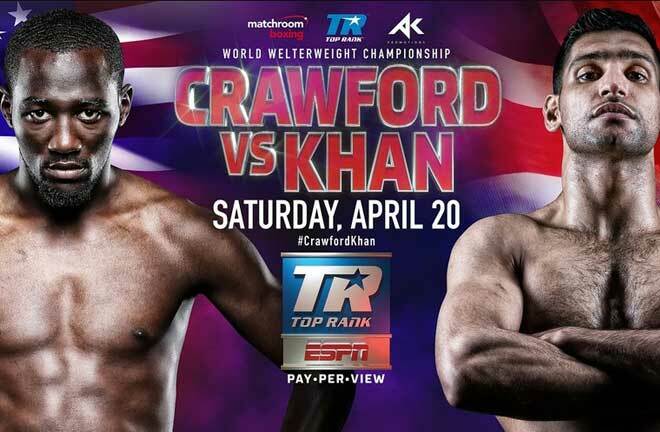 Boxing action can also be found on the various networks of NBC, including NBC Sports Network and Telemundo. The U.S. boxing team will be off on Sunday. For full tournament brackets and schedule information, click here. The opening bell rang on the Rio 2016 Boxing Tournament on Saturday, with the opening bouts at Light Flyweight (49kg), Lightweight (60kg), Light Heavyweight (81kg) and Heavyweight (91kg) setting the tone for what is set to be a blistering competition over the coming 15 days. A gripping opening bout saw Britain’s Galal Yafai, in-form going in to the Games, looking to get on the front foot against the winner of the African Continental Qualifier, Cameroon’s Simplice Fotsala. Fotsala responded well, landing strong uppercuts and combinations, but it was Yafai’s greater composure and dominance that impressed the judges, earning him a precious opening win and a second-round match-up against Cuba’s Johanys Argilagos. Brazil’s Patrick Lourenço received a suitably warm welcome from the Rio crowd and looked to assert himself on Yurberjen Hern Martinez in an energetic start, but Colombia’s American Qualification Tournament winner was patient as he slowly unpicked Lourenço’s defences. A unanimous decision meant an early exit for Brazil’s first boxer of the Games, while Martinez will take great confidence into Monday’s second round match against Philippines’ Rogen Ladon. The last Light Flyweight contest of the morning session saw Spain’s Samuel Carmona Heredia dominate his bout with the Armenian Artur Hovhannisyan, with a unanimous win that puts him into a second-round battle with Ireland’s three-time Olympian Patrick Barnes, bronze medallist in Beijing 2008 and London 2012. The first Lightweight (60kg) bout of the day assumed historic significance, as Mexico’s Lindolfo Delgado faced-off against Italy’s experienced Carmine Tommasone, the first pro-boxer to take part in the Olympic Games as a result of the change to the AIBA statute on 1 June allowing non-AIBA athletes to compete. The Italian stalked his opponent around the ring, leaving Delgado little room to express himself, and Tommasone now meets the reigning World Champion, Cuba’s Lazaro Alvarez, in the second round. Japan’s resilient, technically gifted Daisuke Narimatsu recovered well from Venezuelan Luis Cabrera’s early onslaught to earn a split decision and a match against USA’s Carlos Balderas. The American, ignited by a brilliant period of boxing from the middle of the second round against Kazakhstan’s Berik Abdrakhmanov, eventually won through in a memorable encounter. A walkover saw Turkish Light Heavyweight (81kg) Mehmet Nadir Unal progress to a tough second-round tie against Cuban medal hope Julio Cesar La Cruz, before Croatia’s Hrvoje Sep edged a split decision against the Egyptian Abdelrahman Salah Orabi. By the time Brazil’s heavyweight (91kg) Juan Nogueira arrived in the ring to wrap up the first session of the Rio 2016 Boxing Competition, the packed Pavilion 6 arena was jumping. Several big Nogueira combinations closed out the first session in electrifying fashion, seeing him safely through to face Russian Evgeny Tishchenko on Monday morning and raising the roof in the process. The evening session saw the Light Flyweights (49kg) Leandro Blanc of Argentina and experienced 23 year-old Mexican Joselito Velazquez begin proceedings, with Velazquez looking every bit a man back at his best form and ready to challenge for an Olympic medal. The 23 year-old Mexican star found his rhythm early on, replying quickly on the rare occasions that Blanc found a way through his defences to win by unanimous decision. Velazquez will now meet Uzbekistan’s Hasanboy Dusmatov in the next round, while Namibia’s Mathias Hamunyela out-scored Azerbaijan’s 2014 Youth Olympic Champion Rufat Huseynov in one of the biggest surprises of the day. Both boxers flew out of their corners at the start of a breathless second round, but Hamunyela landed the cleaner blows to earn a unanimous decision and set up a duel with current World Champion Birzhan Zhakypov of Kazakhstan. Rounding off the first day of Light Flyweight action, USA’s Nico Miguel Hernandez gradually found his way back into a tough contest with Italy’s Manuel Cappai, and will now take on the Russian second seed Vasilli Egorov on Monday evening. Uzbekistan’s experienced Lightweight (60kg) Hurshid Tojibaev comfortably negotiated his opening-round tie against Qatari Hakan Eresker, setting up a second round match with Britain’s Joseph Cordina. 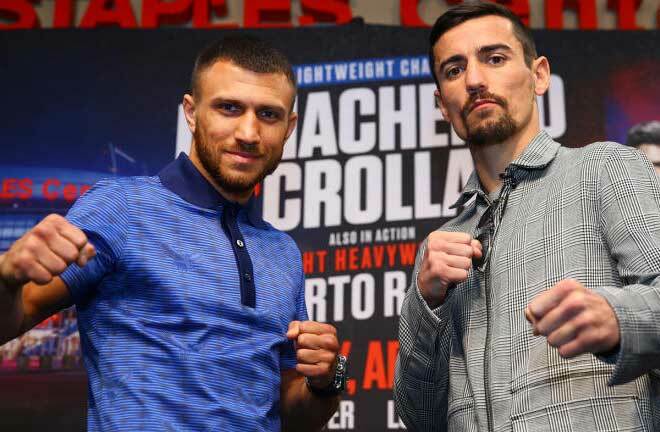 The Brit was made to work hard for his win over Philippines’ busy Charly Coronel Suarez, but a strong last round would eventually see him safely through. The Tajikstan and China teams then both had their first tastes of Rio 2016 action, and it was Anvar Yunusov who took the initiative and the first two rounds, leaving China’s Jun Shan’s frantic third-round burst too late to turn the tide. Brazilian Light Heavyweight (81kg) Michel Borges received a hero’s welcome from the crowd as he entered the ring against veteran Cameroon pro Hassan Ndam Njikam, and was visibly lifted as he won the first two rounds, before powering on to a convincing win that will see him face Croatia’s morning session-winner Sep Hrvoje. In the second Light Heavyweight bout of the session, the big-hitting Colombian Juan Carlos Carrillo dominated proceedings against Kyrgyzstan’s Erkin Adylbek Uulu. An entertaining first day of Rio 2016 boxing was completed by two big Heavyweight (91kg) talents; Britain’s European Qualifier winner Lawrence Okolie and Poland’s World Olympic Qualification Event winner Igor Pawel Jakubowski. 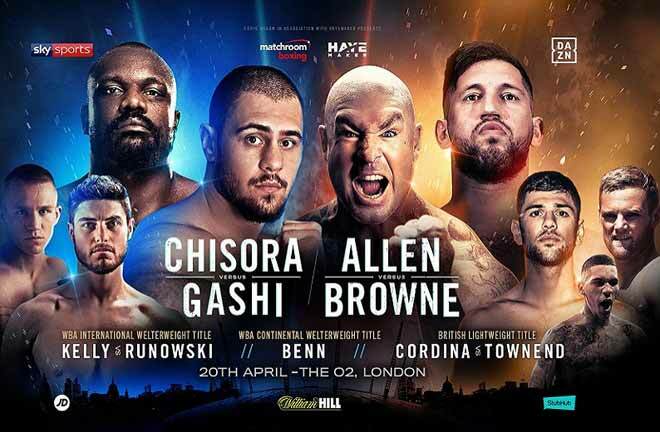 Okolie landed some sharp punches early on, and the 24 year-old grew in confidence as the bout drew on, never looking troubled as he earned a testing second-round tie against Cuba’s imperious Erislandy Savon.